Overload your senses on this whole day of new experiences, along the Holy Trail of Buggy touring. 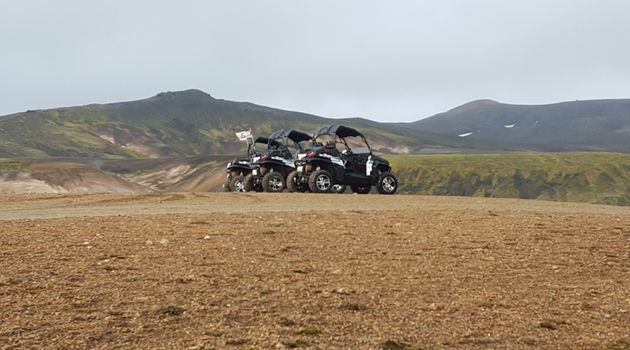 Immersing you into the coarse, surreal beauty of the southern central Highlands of Iceland. 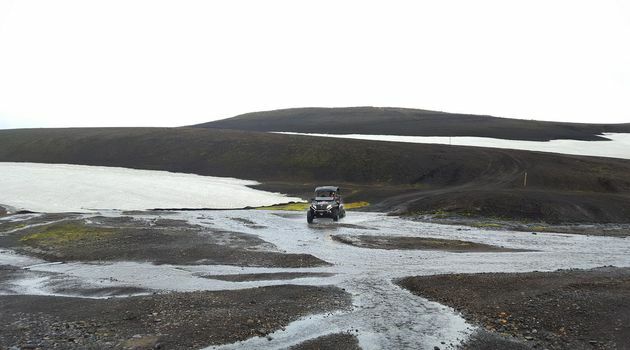 Drive seemingly endless, sinuous lava tracks with non-stop, heart-filling exposure to the natural jewels of Fjallabak Nature Reserve. Volcano explosion craters. Vicious glacial rivers. 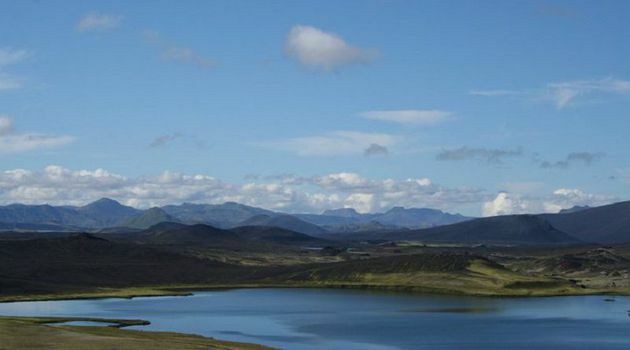 Pure, fish-filled mountain lakes. 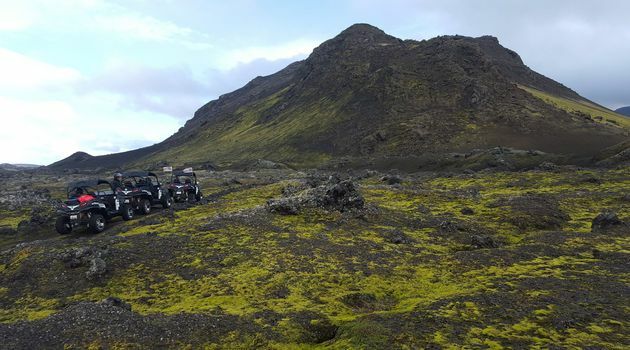 Lava fields, from old to fresh. Hot springs, with you in them. All packed into one, intense day at the wheel. Today, you will meet us by Hrauneyjar Highland Centre. 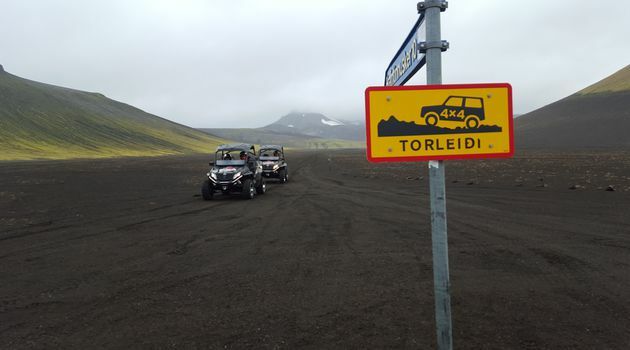 There the Buggy tour starts with a climb through one of the hydroelectric power plant facilities that ensure Iceland runs on pure, abundant, carbon-free power. Our Buggies are equipped with 4-point safety harnesses for safety, automatic transmission for driving ease. All you need is a spirit for adventure, and a valid driving license for the driver. 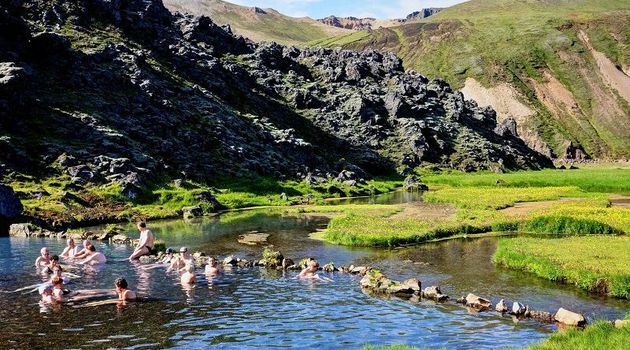 Shoes for the outdoors, warm clothing under the overall, a camera, something to drink, a packed lunch, and donât forget your bathing suit and towel for the Landmannalaugar hot spring. We stop on the way, so both have the opportunity to drive.